FUJIWARA continues his ceramic production inspired by the Fujiwara Bizen philosophy established by his grandfather Kei and father Yu: Simple and Clear, Bold and Bighearted. 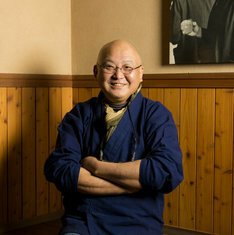 He explores the theme of his own ideal Bizen, and the creation of Bizen ware for modern times. Made an offering of "Koro" to Jakoin, Daitoku-ji Temple, Kyoto, along with "Hanaire"
"Japanese Pottery The Rising Generation From Traditional Japanese Kilns"
Australia-Japan Year of Exchange:Government-Certified Project "Bizen, Fujiwara Kazu"